Tag Archive | "lumia 800"
Nokia has only been relevant for me once in my smartphone life, and that was when I was overseas. Since returning stateside, I have not given Nokia news more than a miniscule glance as I pore over the day’s tech reports. In fact, I have not honestly cared about a Nokia phone release since the mid-90s, when they were one of the top name brands in the US. Until this year that is. Nokia has become relevant again, although not quite in the way that you might think. And while their partnership with Microsoft may be doing a little-bit to correct their sky-diving financial position, I question whether Redmond is doing the best thing overall for increased adoption of Windows Phone. Before we continue on with the editorial, let’s hit some of the facts of the last week’s announcements. 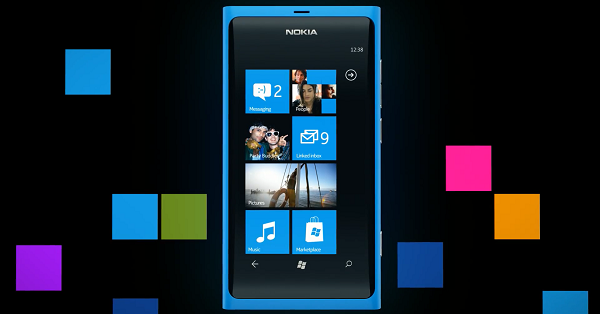 At Nokia World 2011, Nokia introduced two phones that are expected to eventually make their way to US carriers. They are the Nokia Lumia 800 and 710. The latter has a 3.7 inch display with a resolution of 480×800, a 5MP camera that can shoot 720p video, weighs in at 4.4 ounces, has 8GB of flash storage, 512MB of RAM, runs on the Qualcomm MSM8255 chip, which is a 1.4GHz single-core CPU, and communicates on GSM bands. The Lumia 800 also has a 3.7 inch display, a high resolution 8MP camera, weighs in at 5 ounces, has the same 480×800 resolution on an AMOLED display with Gorilla Glass, 16GB of storage and 512MB of RAM, and an identical processorâ€¦in fact, much between the two phones is identical. Back to the editorial. There are a few things I see as positive about Nokia-Soft’s announcements. Kudos to them for getting the product out on time. We did not need another smartphone-delay storyline to track across months of PR apologies. And the big thing? People are talking about Nokia again, and not only in negative terms. At least not entirely. Nokia needed to hit one of the park last week at Nokia World, but there are a few areas where these announcements fall well short of that. The announcement of these two phones, to me, is more like a â€œwe’re still hanging in there inch level of effort. It feels very analogous to the Palm Pre release, which offered some compelling potential. But from the announcement of the Pre through the first several months up to release, I felt like I was watching a once great boxer taking jabs in the ring, wobbling, unable to put his hands up and protect himself, but still able to remain standing and even dodging a jab from time to time. But I knew that the other guy was eventually going to land a haymaker that the former champ would just not be able to take. I get the same sense from the Nokia announcements last week. Maybe the better analogy would be watching a once great boxer through the last few bouts of their career. They keep losing, but in each bout there is a round or a few moments when you think they are on the road back, before they finally succumb each time. While the Lumia product line shows promise, and seems to offer a steady, work-horse level device, neither of the two devices are game-changers. Nokia is in the same position that Android tablet-makers are. They cannot afford to bring a device or devices that are within arm’s reach of the current benchmark products, and offer them at the same price. While there is no pricing information on either of the Lumia devices, I cannot see them being offered at less than $199 and $149 price points for the 800 and the 710 respectively. I believe this based on the pricing of Nokia’s handsets in the past within North America, and the fact that, for some reason, they have struggled to land on carriers with subsidized prices. The Nokia Astound debuted back in April on T-Mobile at one of the most affordable release prices for a Nokia smartphone in North America ever — $79.99. But I do not see Nokia being able to match that pricing for either one of these phones. If they come out at or near the same $199 price point as many premium Android handsets or the $199 iPhone 4S model, when the Nokia phones do not have front-facing cameras or equally high resolution screens, their ability to compete will be sorely lacking. If Nokia can get the Lumia 710 down to a $99 price point, and slug it out against low-end Android phones, then maybe this maneuver has a chance of gaining traction. As for the Lumia 800, I expect it to come out at $199, and likely on T-Mobile as I do not see AT&T having a lot of interest in this device. So it will go to the smallest of the big four US carriers. But it will also be on the one carrier that does not have the iPhone, so for its current customers who enter the market for a new phone, it could very well be a viable choice. I was on an HTC HD7 on T-Mobile at the beginning of the year and was very happy with that selection. But right now, the only thing Microsoft seems to be touting as the differentiating, breakout feature of Windows Phone is Xbox Live integration [ed. note: that integration is majorly lacking and painfully bolted-on]. This was a nice hook at the beginning of the year, but the Xbox is six years old now, and even as a gaming platform, its pre-eminence as being a new place to go is not as shiny as it once was. As for hardware, Nokia phones have always been appealing to photo buffs for their excellent cameras. But great photos and Xbox Live are not enough to bring Nokia back to relevance in the US. Overall, this does not feel like the mass offensive that it needed to be. Nothing out of this announcement was anything that was not entirely predictable. At the end of the day, it feels like less than what Nokia needed to do to right its burning platform. These are not devices that will save Nokia’s bacon. Nor is it indicative of a strategy that shows a glimmer of things to come that will make sweeping changes in Nokia’s business position within the market. Nokia seems to have generated much more buzz about their one-off Meego phone, the Nokia N9, than their just-announced Lumina series (though it may still be too early to call). While falling short of what is needed, I also felt like Microsoft and Nokia weakened Microsoft’s position with its other hardware partners. If I were HTC or Samsung, I would have had sharp words the following day over the use of statements that proclaimed the Lumia line as the “first real Windows Phone(s)”. The hardware manufacturers that stepped out with Microsoft for the launch of Windows Phone, at very high risk to their own earnings, should not have suffered the suggestion that their efforts and their hardware designs were of little value. While not all CEO’s make decisions out of spite, I think the Microsoft and Nokia statements would have at least caused me to ask my CFO for the most recent accounting statements on my Windows Phone product line to evaluate how much value-adding it was really providing. Microsoft took a risk when it migrated its smartphone strategy away from an Enterprise-focus to a consumer-centric one. Without the old corporate in-roads to lean on, they now have to compete in the same arena with the same rule-set as the iPhone and Android products. I do not see the Lumia has being a huge crowbar in that battle. I like Windows Phone, and would not have a problem selecting it as one my next devices. But I still do not see the operating system, the ecosystem, or the new Nokia devices as converging recommendations that I would give to non-techy customers looking for advice on their next smartphone, or first-time smartphone buyers. It is not clear to me where Microsoft and Nokia are heading in terms of starting an offensive that will lead to all of this increased market-share that so many analysts are claiming Windows Phone will achieve in 2014/2015. The Lumia devices appear to be beautiful hardware, and I thoroughly enjoy Windows Phone 7 when I use it. But this is about what Microsoft and Nokia are doing to convince the consumer population that is not already on their side that the Nokia devices are viable and competitive alternatives to the iPhone and premium Android devices. Based on last week’s event, I am having a hard time convincing myself that the two companies have done enough. This smells very much like the Palm Pre launch (except for fact that Nokia’s phones appear to be arriving on time as promised). Microsoft and Nokia will need to come in at lower price points than the competition, and quickly get to offering compelling, differentiated features and offer unique service partnerships to compete against Apple and Google. Seeing as how it appears that they have missed those targets within this window of opportunity, I am not sure when they can pull this trifecta off before suffering that aforementioned haymaker that could be in the works. An iPhone 5 announcement in the spring, or arrival en masse of Ice Cream Sandwich phones could quickly push Nokia off the stage of relevance if they and Microsoft cannot push some major offensive in the interim. Oh, yeah, and after scoffing at everyone else’s Windows Phone devices, I would not expect help to arrive from the camps of HTC and Samsung anytime soon.